Biologists and outdoor growers might know that spiders do a very important job in keeping insect populations down. Without spiders, we would be standing waist-deep in all kinds of insects. Blue Spider is a tribute to this beautiful animal, and to the most appreciated strains of all times. It was created by crossing the highly valued White Widow, with our selected lineage of Blueberry. We from Zambeza Seeds feel that we have created something very unique. Better handle Blue Spider with caution, bites can suddenly result in uncontrollable euphoric and energetic feelings. 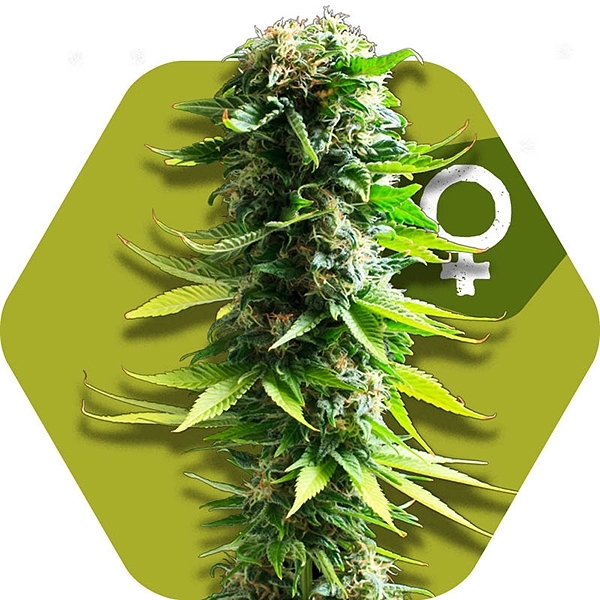 This crossing of Blueberry and White Widow is a strain for experts and novice growers alike. It needs a flowering time of 55 days to yield up to 350-450g/m². 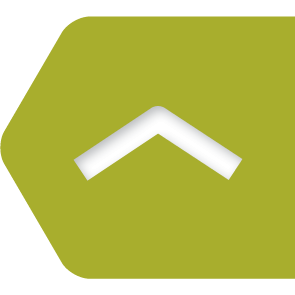 The overall heights are ideal for indoor cultivation, with about 80-110cm. 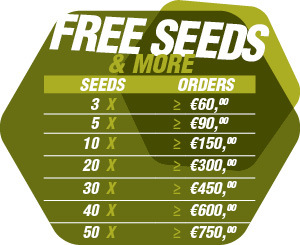 Outdoor growers will also be in the position of using these reliable genetics to grow huge plants, up to 170-230cm tall. Outdoor harvests of 450-550g per plant can also be expected when climatic conditions are ideal. The taste is a perfect blend of fruitiness from Blueberry, with spicy notes from White Widow. It’s fascinating to take a hit of some nicely cured bud and then be amazed almost instantly, while slowly exhaling the smooth smoke. The THC content gets pretty close to reaching the magic 20% mark but usually peaks at 18%. THC-levels that are high like this are usually more than sufficient to get everyone high, even the most advanced smokers. Our Blue Spider is responsible for euphoric and energizing effects that make even the most annoying daytime task a fun activity. It would be no surprise if smokers feel more focused after hitting this bud. It definitely enhances awareness, leading to state of being concentrated, focused, and slightly alert. 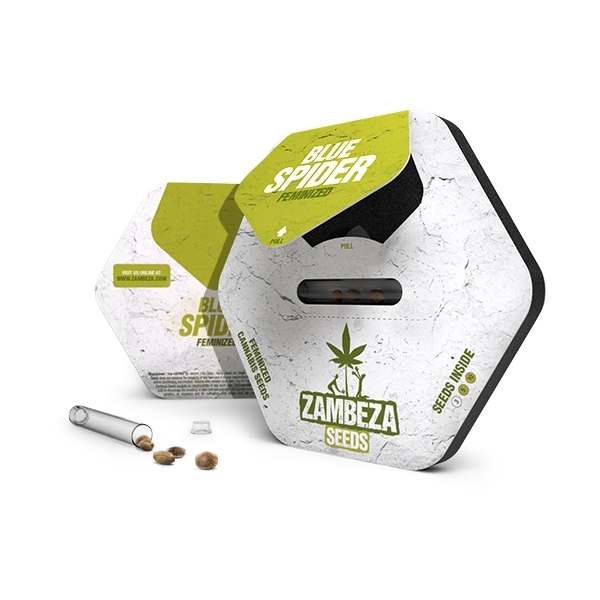 Cannabis cultivators who seek highly stable genetics that have been proven to work on many different occasions might be interested in growing Blue Spider. This crossing does an excellent job in combining the well-known characteristics of Blueberry and White Widow, into one highly potent strain. It’s not only a good option for indoor growers, outdoor- and guerilla growers will also appreciate a strain that quickly converts sunlight into tasty buds. Blue Spider needs a new place to stay, feed her well and she will treat you right! Title : Wächst grandios im Freien! Tolle Pflanzen! Alle Samen sind gekommen! Comment : Bis jetzt bin ich sehr zufrieden mit dem tollen Wuchs. Im Freien mit genug Wasser und Bio-Dünger (Brennesseljauche) gedeihen die Ladys wunderbar! Hatte schon einmal die Sorte und war eben mit der pflegeleichten Haltung sehr zufrieden. Die Größe liegt je nach Pflanze zwischen 90 und 120cm. Für einen Outdoor-Grow ohne große Hilfsmittel war der Ertrag im Rahmen, er könnte besser sein! Jedoch der Geschmack und das ausgeglichene High machen dies wieder wett. Hier gilt; Lieber etwas weniger, aber dafür High-Class! Title : Gut, aber nichts besonderes. Comment : Toller Geschmack, tolles Aroma. Ertrag (unter-)durchschnittlich. Geht bestimmt viel besser, ich verzichte aber auf einen weiteren Versuch. Comment : Plante exceptionnelle,odeur forte de citron vert , bud central de 36 cm en cours de floraison , il s’étoffe de jour en jour , le pied de zeb mesure 115 cm . Seule erreur de ma part , j'en ai commandé que trois , il aurait mieux fallut en prendre dix d'un coup .